If ever a band embodied the axiom "Think globally, act locally," it might be David Rosane and the Zookeepers. Rosane is a globe-trotting songwriter and activist who spends most of the year in Paris. But he has strong ties to Vermont, and most of the members of his backing band call the Green Mountains home. The group's latest record, Modern Folk, is a lively exposition of punky folk — or maybe folky punk — that takes a look at the world and distills global issues on a smaller, homespun scale. Rosane is an academic who worked for a decade as a researcher and teacher in the Amazon with Cornell University, before moving to New York City and then Paris. In NYC, he helped sow the seeds of the Occupy movement, working as a social and environmental advocate. As a songwriter, Rosane writes with an intellectual bent, expressing his passion for social issues in a carefully measured voice. That might sound like a recipe for insufferable proselytizing. However, the results are anything but. Rosane's philosophical musings have a loose, winking charm. Rather than bludgeon the listener with leftist fire, he takes a softer — not mention more entertaining and effective — approach. "Gravity" is perhaps the best example of Rosane's controlled burn. With artful, unflinching honesty, he wonders aloud about his fiery passion, not just in politics but in love. "When it hurts, it hurts us way too soon," he sings in his rough-hewn baritone. "When it burns, it burns both me and you." The message: Fire can be a good thing, except when it gets out of control. That sense of calculated reserve informs every aspect of Modern Folk, but it never diminishes the impact of Rosane's writing. Opener "Going Home" is a tender affirmation that home really is where the heart is. "Are We Mad?" scores with its simplicity. "Have a Merry Christmas" is a rebuke of commercialism that plays any time of year. "Paris Is for Love" closes the album with an ode to his tragically wounded city, and it's as touching as it is timely. 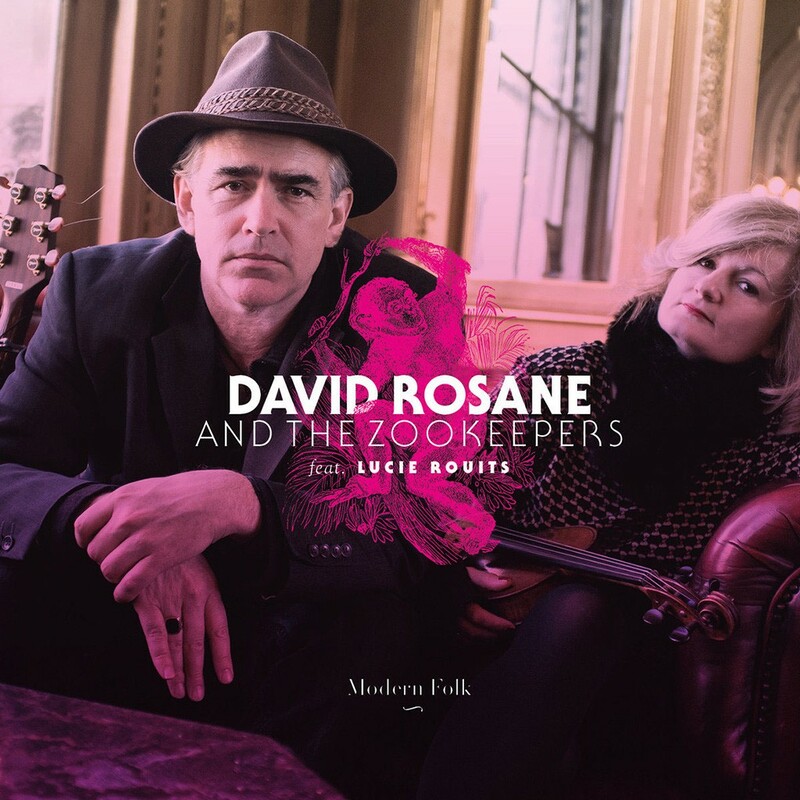 Modern Folk by David Rosane and the Zookeepers is available at davidrosane.bandcamp.com. The band plays several local shows this week, including Wednesday, February 24, at Radio Bean in Burlington; Friday, February 26, at the Colatina Exit in Bradford; and the Bernie Jam fundraiser at the West Newbury Hall on Saturday, February 27.